Welcome to some of the best diving in the world. Almost every resort in The Maldives has a dive centre and there is plenty to see wherever you go. One major difference is service: information, number of boats, instructors or trips offered, assistance on land and in water, and how enjoyable the staff make it. Many other resorts are good but these seven are a starting point. Whether they’re known for their house reefs, shark sightings, friendliness or experience, all of them serve rich and varied dive sites teeming with marine life. 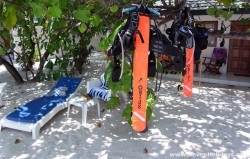 Great service often comes from large, experienced dive bases. Angaga’s award-winning centre includes smartly equipped, large boats, so you’re looked after well en route to the whale sharks. Kuredu is the biggest, co-ordinating all levels professionally with great group rapport. At less busy Maayafushi exceptionally helpful staff guide you to abundant sites. For the best doorstep diving, house reef dives are made easy at Helengeli, Filitheyo and Vilamendhoo day or night. Access at the latter is simplest of all – only a few metres from room to reef down a nearby cut through. Adaaran Vadoo provides personal, experienced attention from instructors. Great for any competency, and close to famous sites. Filitheyo has shallow thilas for learners and challenging channels for the advanced. 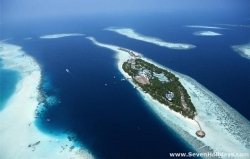 Pros also flock to Vilamendhoo, for exceptional visibility and sharks, and Helengeli, with the richest sites almost to itself. A leading dive island, Helengeli is also perfect for relaxing and pottering (or splashing) about. Nothing fancy about the rooms or the cuisine, this is an original Maldives kind of place. 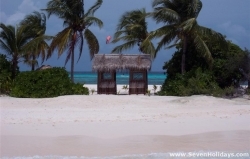 A big, gregarious resort full of fun and activities but also calm and professional, Kuredu is a resort to suit as many different people as it has room types and locations.